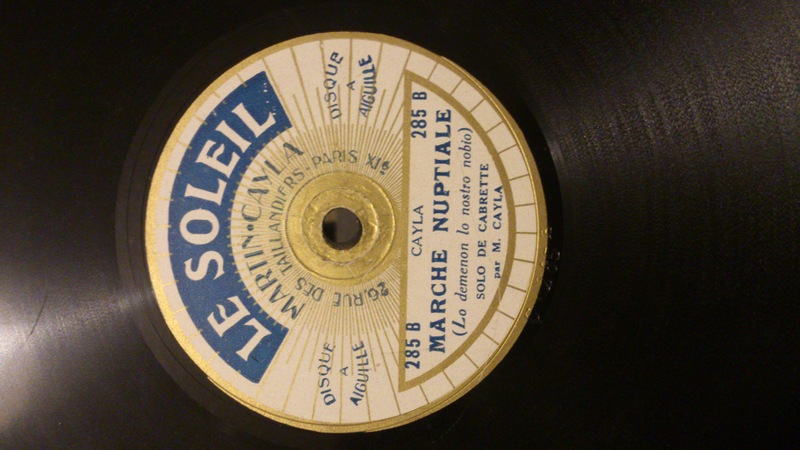 I wish I could have posted more on Ceints de bakélite in 2014… Before this year ends, here is a new selection of 78 rpm records from my collection. Enjoy! 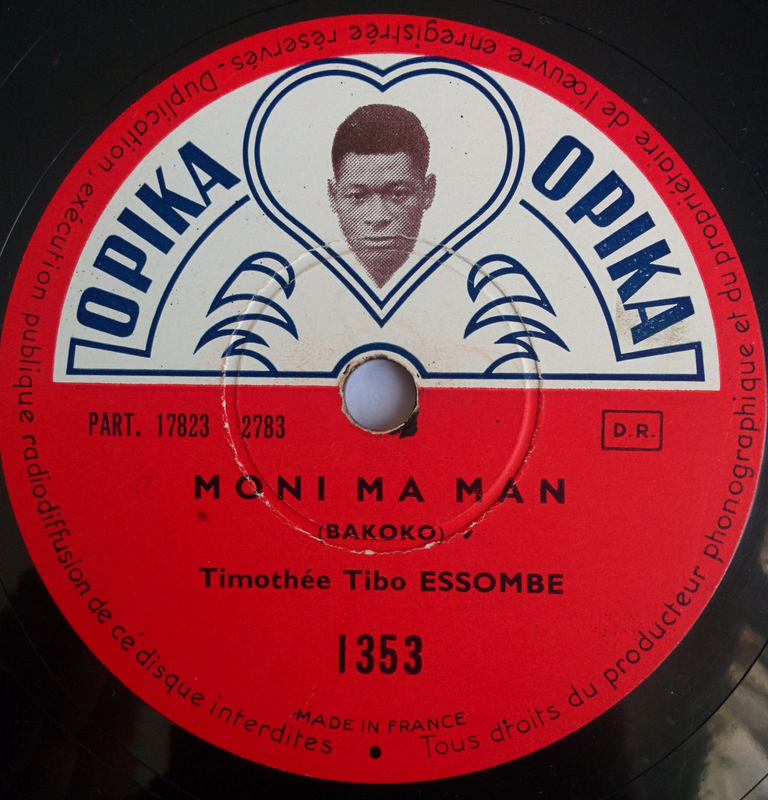 I didn’t find any information about Timothee Tibo Essombe, the performer of this catchy song from Cameroon in Bakoko language, released on the Congolese label Opika. 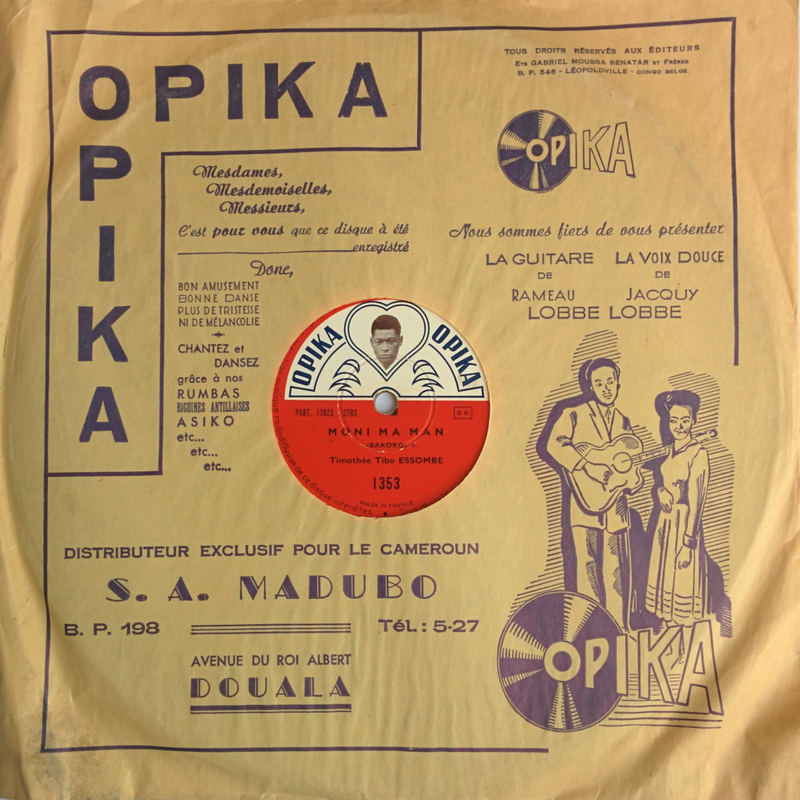 Alongside Ngoma and Loningisa, Opika played a major role in the development of early Central-African pop music by releasing numerous fantastic recordings from Congo and Cameroon. The label was created in the late 40’s by two brothers from Greece, Gabriel and Joseph Benetar, and run until the late 50’s. Other nice recordings from Opika are available on Excavated Shellac and on the Gamelan78s Youtube channel. This hypnotic lullaby performed by an unknown female singer is probably one of the most fascinating records from my collection. 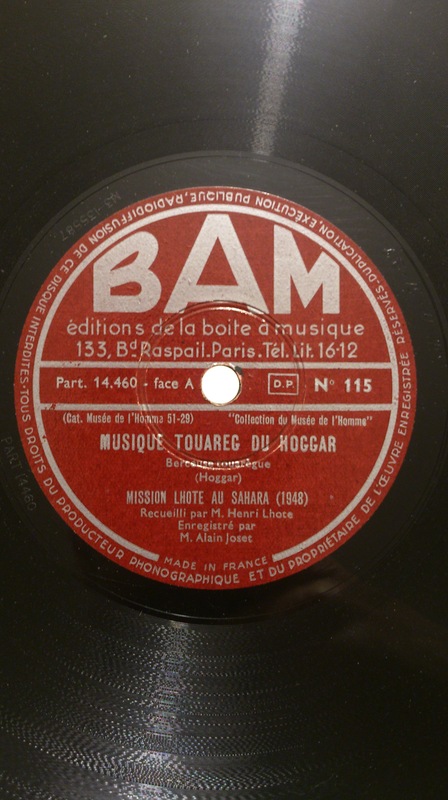 In 1948, a French ethnographic mission led by Henri Lhote made numerous field recordings for Paris Musée de l’Homme among the Tuareg people from the Hoggar Mountains, in the south of Algeria. This record is part of a larger set released by the Paris-based Boîte à Musique (BAM) label. I found this one in a stack of dozens of 78s, without its sleeve, but luckily it was not broken. This is something that really fascinates me in collecting 78s: why did this fragile and heavy record arrive safely on my turntable, crossing decades and countries, passing from one owner to the other? Even though it is full of scratches and scuffs, sounds awful during the first 30 seconds, it is still enjoyable and I wanted to share it here, as it features a stunning song by the Algerian singer Meriem Fekkai (spelled “Mariam Fakai” on this record). 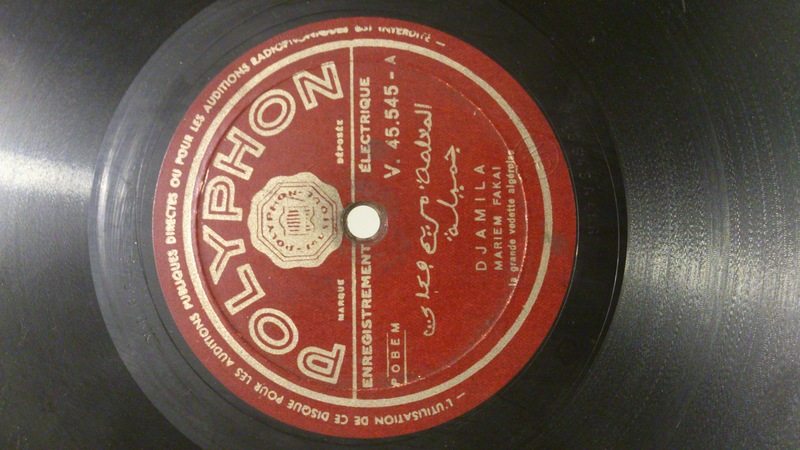 It was released by the French branch of Polyphon, which made a great series of recordings in North Africa in the late 30’s. Alongside clarinetist Alexandre Stellio, Sam Castendet is another central musician of the biguine scene that developed in Paris in the early 1930’s. 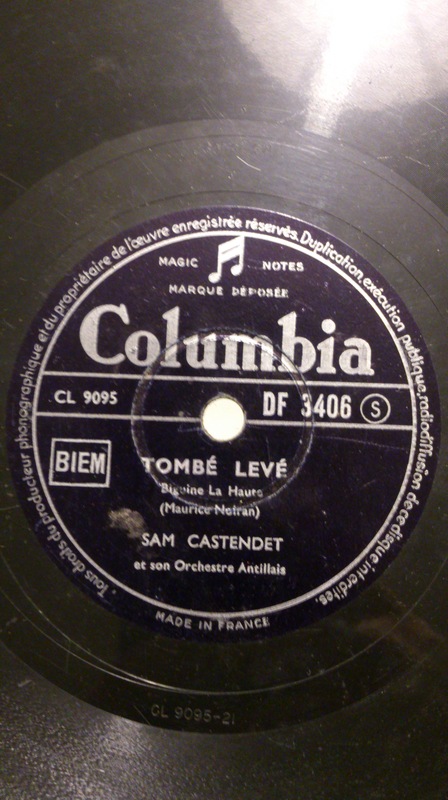 Castendet was born in 1906 in Martinique and later moved to Paris, where most biguine recordings were made at that time. His carreer really started in the last days of the 1931 Paris’ Colonial Expo, when he was asked to replace Alexandre Stellio to conduct the orchestra of the Guadeloupe’s Pavillon. This song was recorded later, in the early 40’s. More Castandet’s songs can be found in this CD released by the French label Frémeux et Associés. Some readers of this blog might have heard of “Longing for the Past“, a 4 CDs box dedicated to “The 78 rpm Era in Southeast Asia” published in October 2013 by Dust to Digital. I must say that this set compiled by David Murray, from Haji Maji and ShellacHead, is one of the most impressive reissue works I have ever heard, and the 90 tracks it features (+ a 272-page book!) are still a source of wonder for me. Highly recommended! 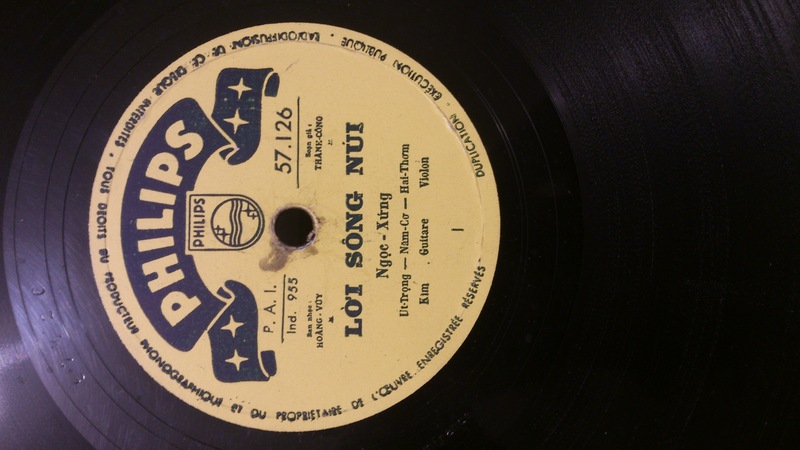 In the same vein as Longing for the Past, here are both sides of a Vietnamese folk recording released by Philips between the late 40’s and early 50’s. Martin Cayla was a well-known musician and music editor from the Auvergne region, in the center of France. “Le Soleil“, the label he founded in Paris in the late 1920’s, released some great folk recordings featuring accordion, banjo and cabrette, Auvergne’s traditionnal bagpipe. In this wedding song, we can hear a solo of cabrette performed by Cayla himself.